Today, the FEI Extraordinary General Assembly, held in Copenhagen (DEN), voted against the adoption of new Statutes for the restructuring of the FEI Bureau, the current governing body. A hundred and two (102) National Federations were represented, 85 in person and 17 by proxy. Out of 98 valid votes cast, there were 49 against, 48 in favour and one abstention. 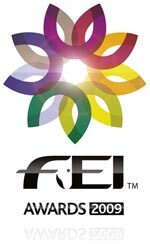 Consequently, the FEI will continue to be governed by a 19-member Bureau rather than the proposed seven-member Board. The FEI modernisation process, championed by former FEI President HRH Do? Pilar de Borb?, began 12 years ago and was accepted in principle by the FEI General Assembly in 2005 in London. The main objective of the proposed reform is to achieve a smaller and dynamic Board, which is both competency based and regionally balanced. Today?s vote was preceded by extensive consultation which took place throughout the summer ensuring National Federations were listened to and that their feedback was integrated as much as possible. In order to ensure regional representation, the original proposal was to have no more than two members per continent. On the basis of additional feedback from National Federations in South and Central America, it was modified not to allow more than one member per Regional Group. To guarantee the respect of democratic principles also called upon by European National Federations, the proposed election process provided for all candidates to be put to the vote of the General Assembly. The modernisation process will not be on the agenda of the 2010 General Assembly, given the FEI?s need to focus on a number of priorities in the areas of development, horse welfare and commercial initiatives, among others. An additional factor is that 2010 is an election year in the FEI. It?s just a single day to go until the new FEI Award winners are announced ? and the equestrian world is holding its breath. There were 1,200 nominations for the five awards from all over the world across all FEI disciplines ? which have been designed to reward the fair play, team spirit, inspiration and prowess that equine competition espouses, as well as celebrating the outstanding achievements of our often-underrated athletes ? from all over the globe. Who will the illustrious judging panel pick from the wide choice that demonstrates the international range and scope of the FEI? Headed by FEI President HRH Princess Haya, who herself show jumped at Olympic level, the judges will have to use all their extensive knowledge and experience of equestrianism. The group also includes eventing and show jumping Olympian and multiple medallist Mark Todd, Dominican Republic dressage rider and judge Diana Ramos, Italian show jumping organiser Eleonora Ottaviani and German vaulting champion Kai Vorberg, along with representatives from key FEI sponsors Alltech and HSBC. The ceremony, which will be hosted by the BBC?s Clare Balding, takes tomorrow during the FEI General Assembly at a Gala Dinner ? a real ?Oscar? evening.